How do I use Signals.me on a mobile device? If you are on a mobile device, add our website to your homescreen to use it as an app. 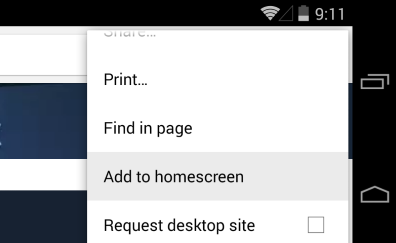 Press the menu button on your browser, then press Add to Homescreen. Examples for Android and iOS are shown below.